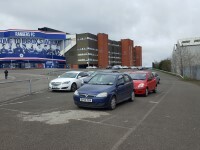 You are on Parking (Albion Matchday Parking). Skip to the next section. 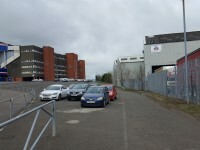 The car park is located off Edmiston Drive and Broomloan Road. 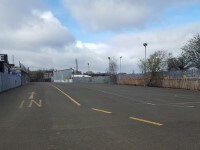 The car park is accessed via Broomloan Road. 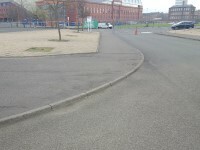 The dimensions of the designated Blue Badge parking bay(s) surveyed are 485cm x 470cm (15ft 11in x 15ft 5in). 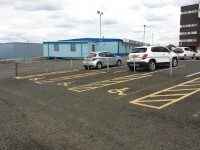 The route from the car park is accessible to a wheelchair user with assistance. For more information on the parking please click here (opens new tab). The following information relates to the parking available on a matchday. 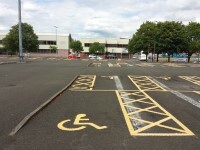 There are 100 parking bays in total which are allocated to Blue Badge holders, of which 100 is/are clearly marked. 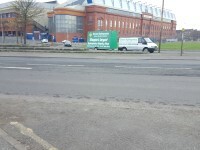 This car park is for home supporters. Spaces are priced at £7 and can be paid upon entry. Spaces will be allocated on a first come first served basis and are subject to availability. 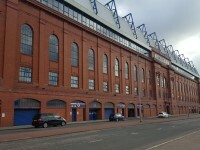 Alternatively, if you wish to pre-book a car park space visit Matchday Car Parking online via the Rangers website, please note spaces are subject to availability. 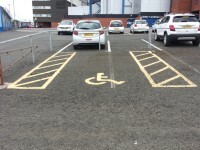 Parking spaces are available on a match-by-match basis. 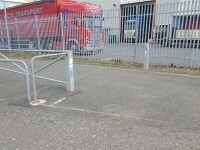 For more information on booking parking bays please click here (opens new tab). 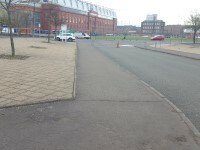 Parking is not free for all supporters on match day. 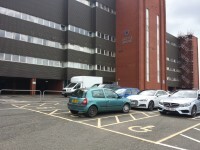 Parking is not free for Blue Badge holders on a match day. There is a steward available for assistance on match days. 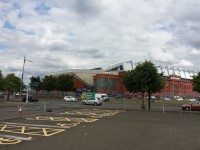 You are on Parking (Broomloan - Blue Badge - Matchday Parking). Skip to the next section. 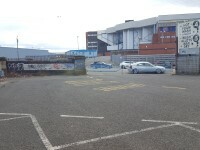 The car park is located on Broomloan Road. There is/are 10 designated Blue Badge parking bay(s) within the car park. 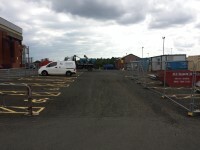 The dimensions of the designated Blue Badge parking bay(s) surveyed are 450cm x 470cm (14ft 9in x 15ft 5in). The designated Blue Badge parking bays are approximately between 5m and 20m from the outer concourse/walkway. 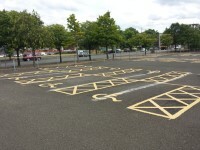 There are 10 parking bays in total which are allocated to Blue Badge holders, of which 10 is/are clearly marked. 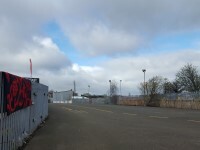 You are on Parking (Family Stand Matchday Parking). Skip to the next section. 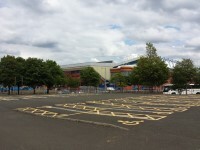 The car park is located off Broomloan Road. 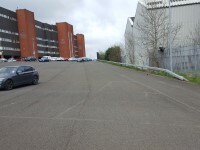 There is step free access throughout the car park. Standard parking bays are not clearly marked. 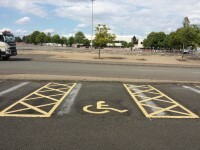 There are 27 parking bays in total which are allocated to Blue Badge holders, of which 0 is/are clearly marked. This car park is for family supporters. 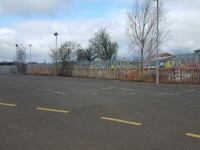 Families with a child in their party can also book a space in the Family Car Park (previously the Away Car Park). Spaces will be allocated on a first come first served basis. 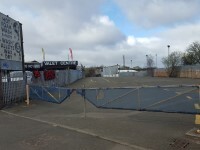 For matches against Celtic and European fixtures this car park is used for away supporters. 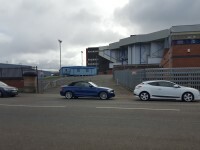 You are on Parking (Argyle Matchday Parking). Skip to the next section. 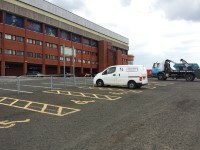 The car park is located at the rear of the Sandy Jardine Stand. 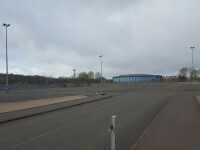 The car park is accessed via Edmiston Drive. There are some slight gradients within the car park. 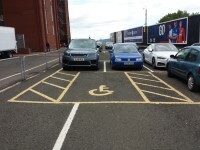 The dimensions of the designated Blue Badge parking bay(s) surveyed are 470cm x 490cm (15ft 5in x 16ft 1in). There are 17 parking bays in total which are allocated to Blue Badge holders, of which 17 is/are clearly marked. 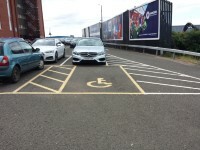 Standard parking bays can be used for Blue Badge holders. You are on Parking (Mafeking Matchday Parking). Skip to the next section. 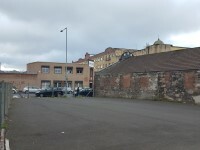 The car park is located on Mafeking Street. Outer Concourse link (new tab) - click here.